The primary objective of the Methow Riparian Restoration project is to systematically restore riparian habitat on large, publicly owned parcels within the Methow Valley, leading to improved habitat for salmonids and other wildlife. The project, which is taking place on Washington Department of Fish & Wildlife (WDFW) lands, addresses the lack of healthy riparian plant communities and affects coho and Chinook salmon in spawning, fry, and migratory stages, as well as steelhead and many resident fish species. These sites have been impaired from many years of agriculture and livestock grazing practice. The native riparian vegetation, which at one point made the Methow such a suitable habitat for salmonids, has generally been removed, significantly diminished, and/or replaced by invasive plants and noxious weeds. 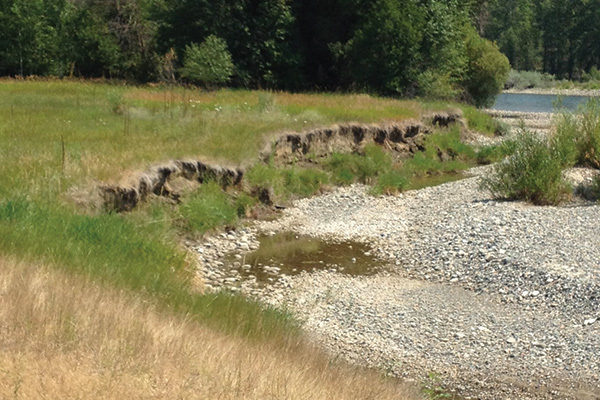 CCFEG and WDFW are replanting degraded areas, primarily in former crop lands, with native riparian species, which will help to restore the natural habitat processes. Riparian restoration reduces stream temperatures, increases large woody debris recruitment, and increases habitat diversity and channel stability. Cascade Columbia Fisheries Enhancement Group (CCFEG) is a non-profit organization working within Chelan, Douglas, Okanogan and Ferry counties to cooperatively facilitate sustainable fisheries enhancement projects for future generations. Our work is based on public trust, outreach, voluntary participation of willing landowners, best available science, and best value management practices.